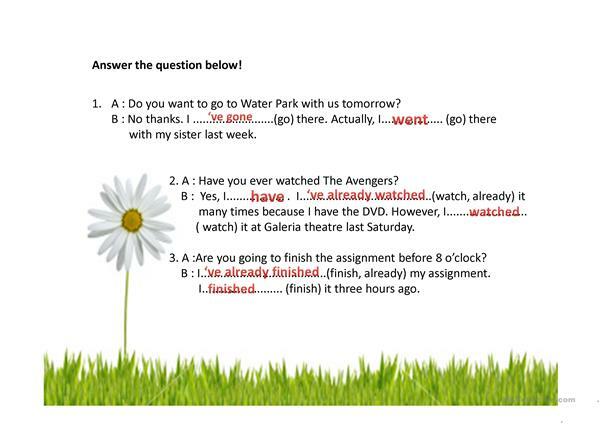 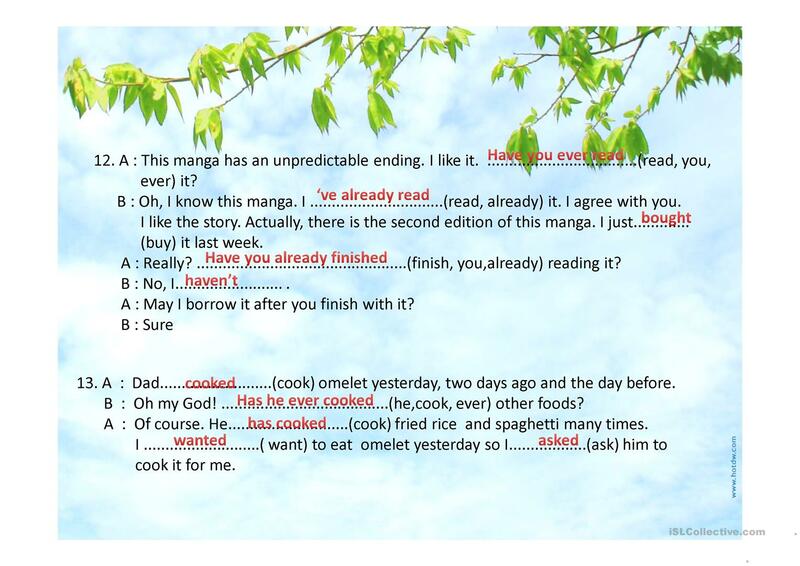 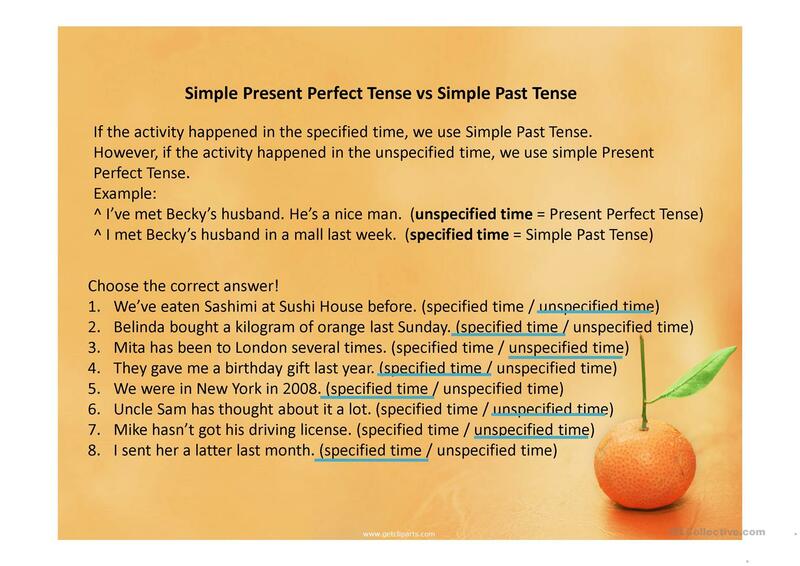 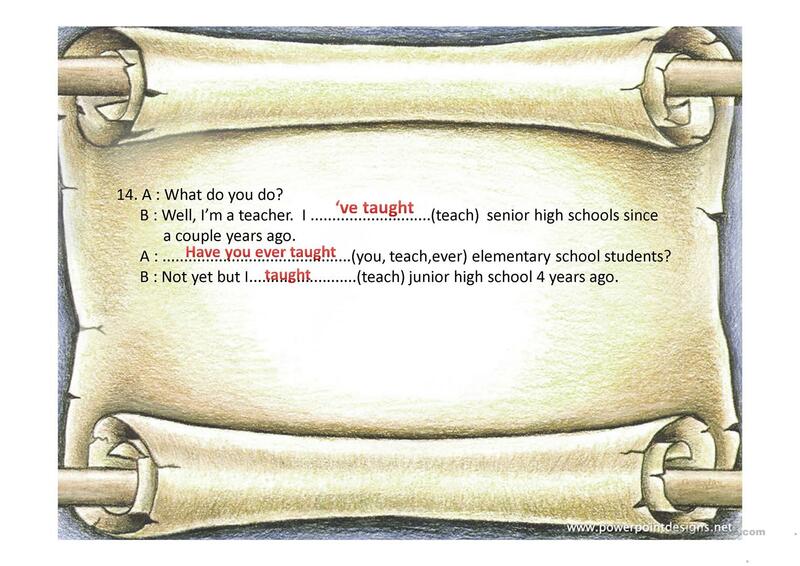 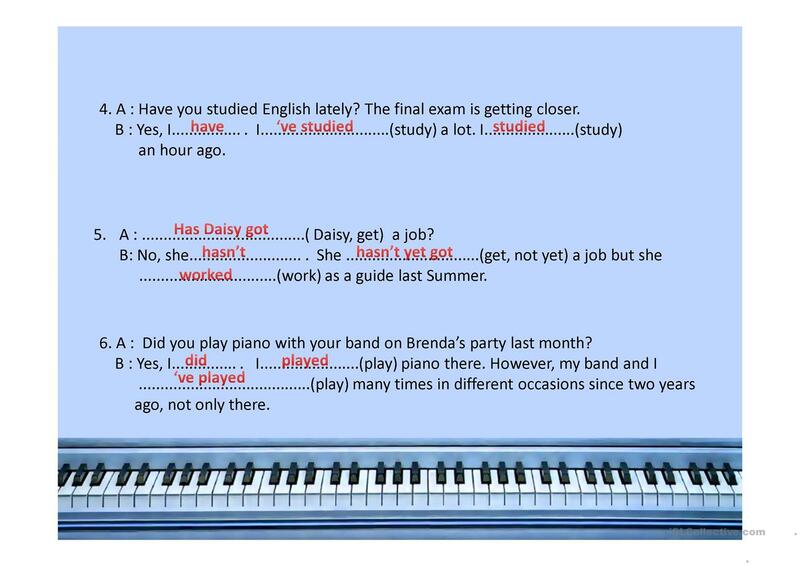 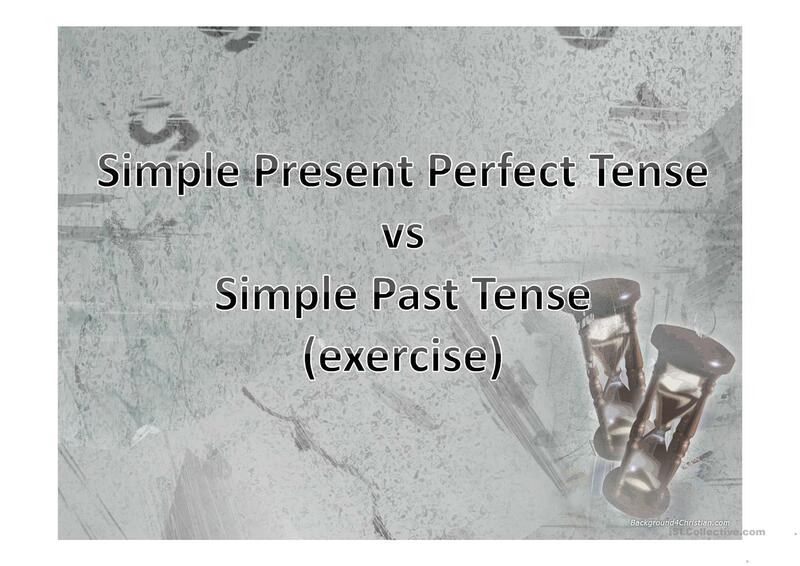 exercise on present perfect and simple past. 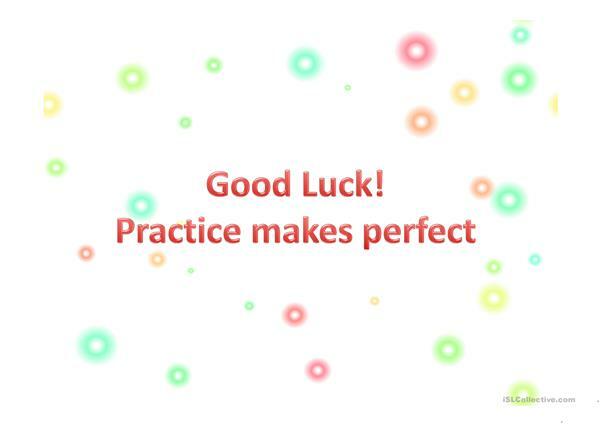 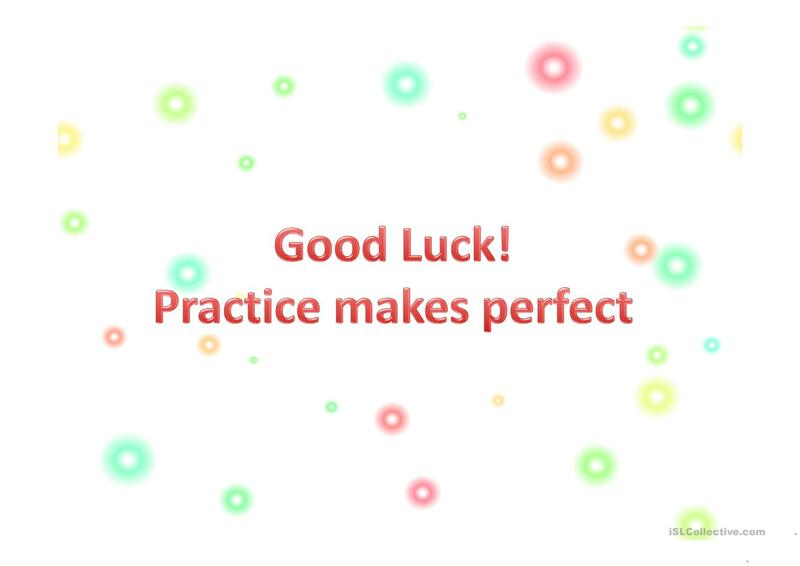 The present printable, downloadable handout is recommended for business/professional students, high school students, elementary school students and adults at Pre-intermediate (A2), Intermediate (B1), Upper-intermediate (B2), Advanced (C1) and Proficient (C2) level. 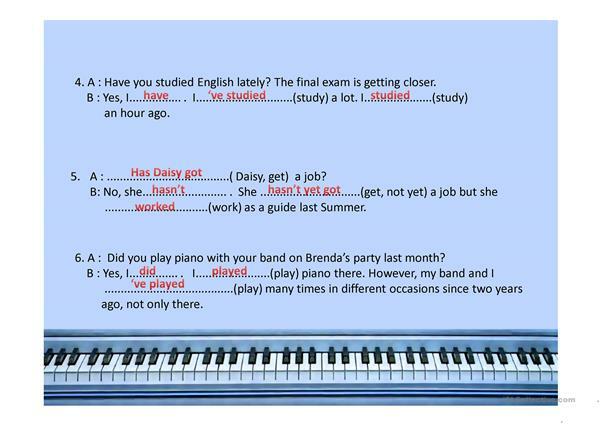 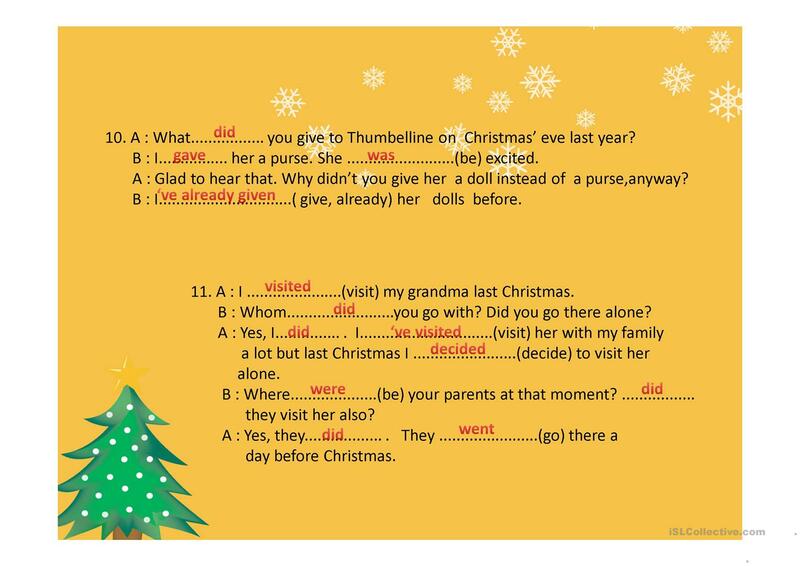 It is great for teaching in English, and can be used for enhancing your groups' Speaking and Reading skills. 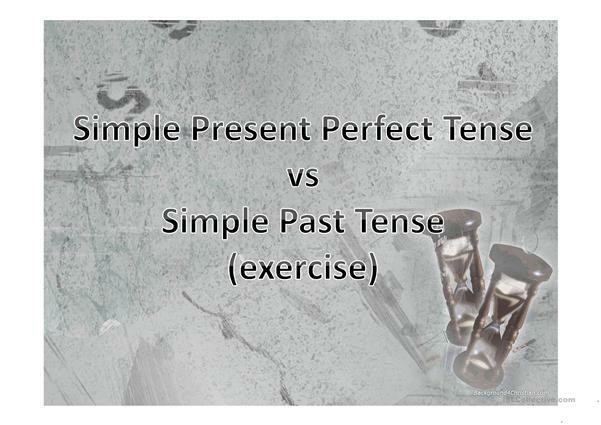 It is focused on the theme of Actions. It includes the solutions, too.